There are plenty of opportunities to join a team of brave challengers and fundraise for Liverpool Cares to help tackle isolation and loneliness across our city. Aintree Racecourse – home of the world famous Grand National – is usually not open to the public. But on 8th September, you could run 5km or 10km around the flat and fast course with team Liverpool Cares! The Chester Marathon is a spectacular marathon. The route is both historic and scenic, starting at the racecourse, heading into the City centre, before heading out of the City across the Old Dee Bridge into Wales. You follow rural lanes before returning to the City along the River Dee. 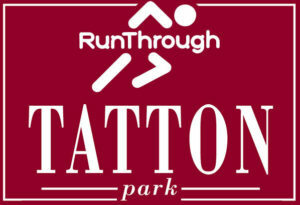 This fast, closed road 10k or half marathon is set in the beautiful Tatton Park in Cheshire. It's a perfect way to set a PB, as it's accurately measured and chip timed. The course starts, runs around the roads inside and finishes within the parks grounds. 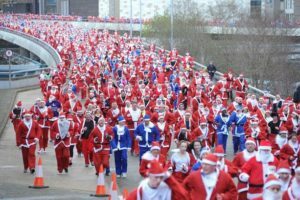 Dress up in a Santa Suit and run 5k around Liverpool! Staring at Pier Head, this is sure to be a fun run for a good cause.